I have been encouraged to list my entire current inventory of guitars, even though it is constantly changing and I have not yet taken pictures or written full descriptions of many of them. 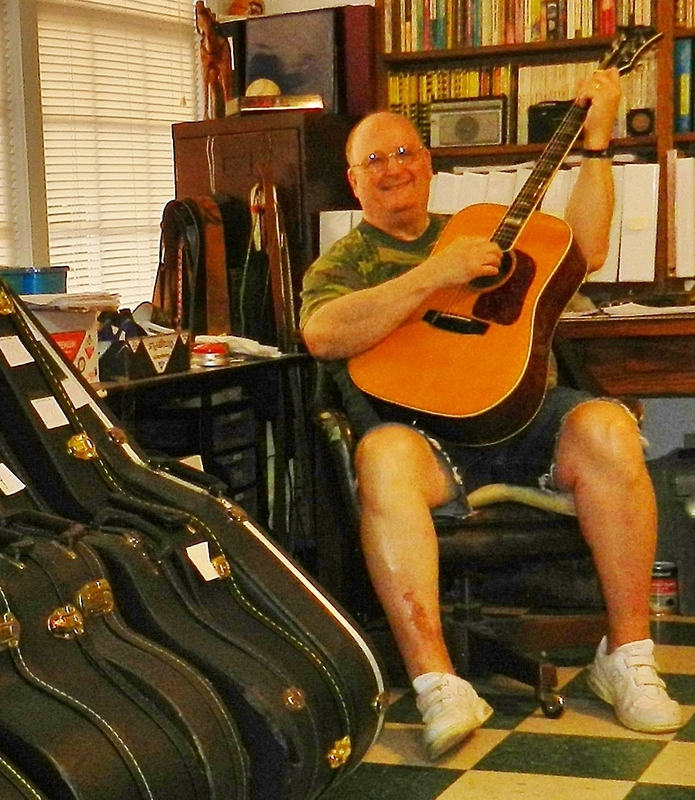 As you can see, I generally sell only Martin, Gibson, Guild, Taylor, Larrivee, and Alvarez-Yairi guitars because most of these models are made so well that they tend to increase in value and in the complexity and resonance of their sound as they age, regardless of their appearance; I can therefore sell them with confidence. If you see a specific guitar listed in which you are interested, send me an e-mail about it and I will post pictures and a description of it within a day or so; otherwise I will be posting pictures and descriptions of a variety of guitars at a rate of about two a day as time permits. I also have a number of trade-ins and guitars being checked out or negotiated for which are not yet listed; if you have a particular model in which you are interested and it’s not listed at the moment, please ask, and I will be happy to let you know if one will be available in the near future. Thank you for checking out my “collection,” and I look forward to hearing from many of you soon.